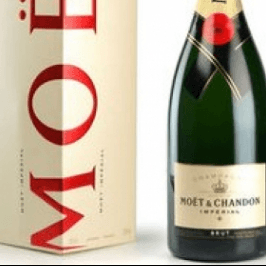 Moet Chandon Brut Champagne gifts Magnum two bottle size. Moet Chandon brut Pale yellow with shades of green. The aroma is delicately vinuous with a lime and vine blossom attack. Very ample on the palate, discreet finish. An apertif wine; accompanies fish dishes. You can pick a free cards. If this is a special gift you can pick the delivery date after you checkout.